If you love being outside, enjoying scenic views and getting a great work out all at the same time, then hiking in Golden is the perfect activity for you. 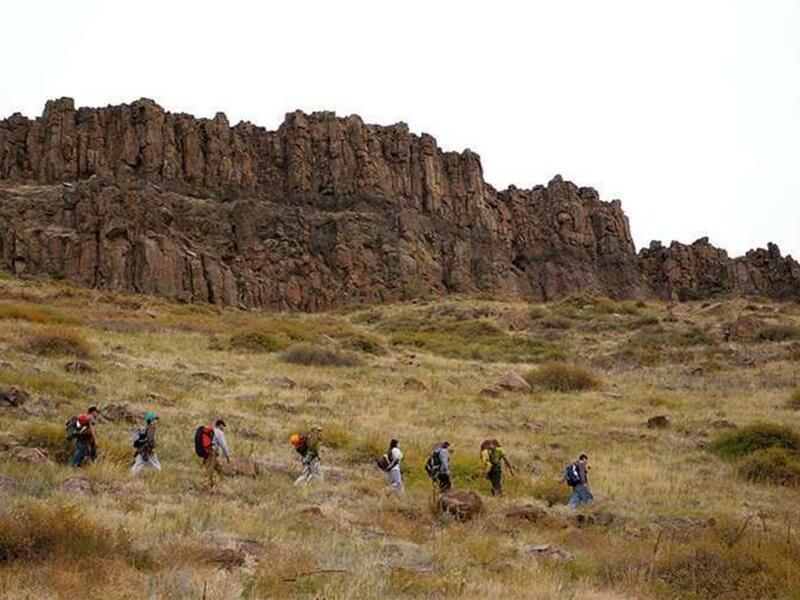 Golden, Colorado offers beautiful hiking trails that accommodate all levels of expertise. Trails range from easy to difficult giving everyone the opportunity to get outdoors and get active! Not only is hiking a great full body exercise, but you can make it a social pursuit by bringing along family and friends. The only challenging part about hiking in Golden, the beautiful city nuzzled next to the mountains, is deciding which stunning trail you want to conquer. If you’re looking for a quick one hour hike, but still want to feel the calories drip off, then head to Lubahn Trail. This trail starts in the gulley below and south of Castle Rock on South Table Mountain. Out of convenience to hikers, it has been extended to create a loop of moderate difficulty. As you ascend Lubahn Trail, don’t forget to stop every so often to take in the expansive view of Golden that the path offers. For those hikers who want that picture perfect view, and are willing to do a little bit of work to get it, try the North Table Mountain Trail. This trail is the perfect place to get a good work out in and in return you’ll be rewarded with a remarkable view of Golden. But hikers beware; you do need to exert some energy to get to the top as the difficulty level is moderate to advance. Also, in the height of summer when temperatures soar be aware of rattle snakes and keep hydrated. For something a little less difficult, hike or walk Golden’s Clear Creek trail that connects with other trails in the Denver Metro area. Clear Creek trail is one of Golden’s most popular trails and offers a cool breeze from the creek that wafts over you for a nice cool down once you start to break a sweat. During the summer season, as you walk or run the trail, quality entertainment is provided as rafters and kayakers sail down the river. As this is just a tiny list of hiking around Golden, there are numerous other trails available to suit your needs. Visit http://www.cityofgolden.net/play/recreation-attractions/trails/ for a complete list of hiking trails in and around Golden.